We’ve done two reviews on the Zenfone 4 Max: more compact and larger versions, which differ essentially only in size of display, memory and price. And Max Plus (M1) is not formally belongs to the family Zenfone 4 — digit does not occur in its title. ASUS, as usual, all slightly confusing. But in this case this trick is justified – Plus is really different from the mentioned models very seriously. 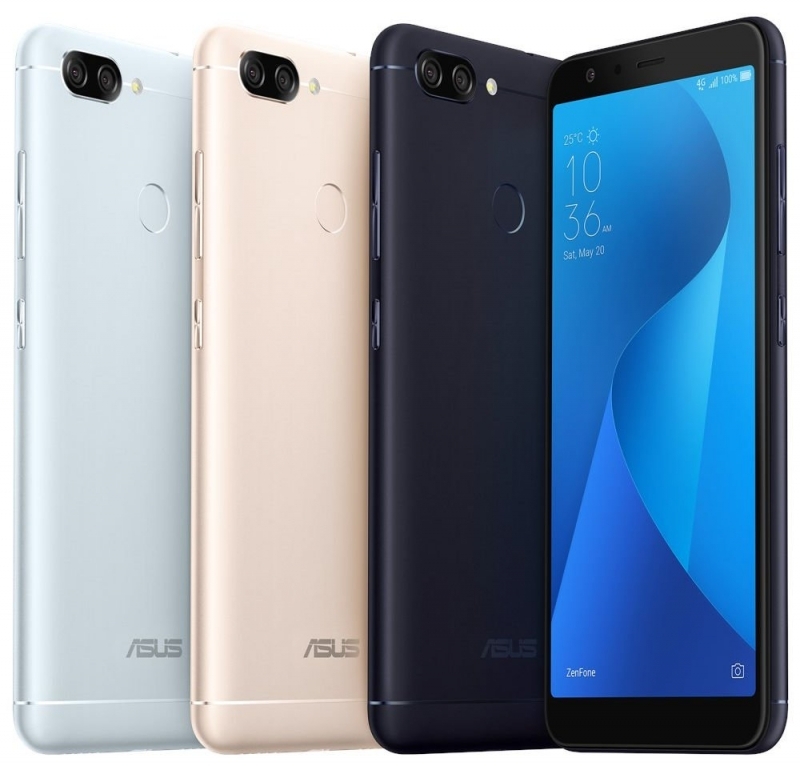 The official model name – ASUS Zenfone Max Plus (M1), but in the future I’m going to call this device just Max Plus. Here we use a larger display with a diagonal of 5.7 inches, and in the trendy format 18:9 – so the “plus” is slightly smaller in size than a normal Max with the screen at 5.5 inches. 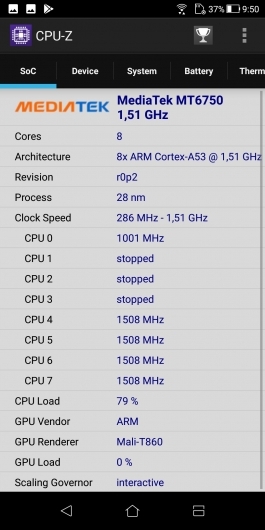 It differs with the platform instead of the Qualcomm Snapdragon in the Junior Max Plus installed SoC Mediatek MT6750T, well known for ultrabudgetary smartphone that was released in 2016. Combined with large battery (4130 mAh) this should help the device with a large display if not to set records autonomy, at least to meet the high standard established other “maximi”. Another important feature Max Plus – pretty impressive for this class set of cameras: together with the “normal” 16-megapixel there is 8-megapixel with wide angle optics – like the model Zenfone 4. It turns out of these, at times disparate, ingredients solid quality smartphone, we now face it. ASUS never belonged to the trendsetters in terms of the appearance of the smartphones, but the company obviously has the experience and begins to act more confidently. In 2017 and 2018 in the coming year, it is manifested primarily in the creation of a specific design code, which provides Zenfone unity. If the front is a black version of Max Plus, which I got for testing, is almost indistinguishable from other similar devices with the “stretched” on the entire front panel screen, can be traced back signature style. Learn Zenfone you, not even looking at mandatory inscription “ASUS” at the bottom. In addition to the black Max Plus, there are also gold and silver – they are less practical, but look much more interesting. 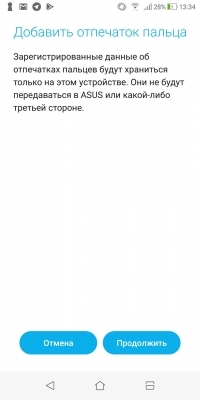 However, there could be someone that important. Decorated smartphone tempered glass and metal. Such a decision in our time looks a peculiar feature of the device lower or middle class — with flagship company have fun with glass and ceramics. Plastic in the casing body of the smartphone will meet today rarely, if not talking about the inserts for the correct operation of antennas. Remember is that the recent Sony Xperia XZ1 Compact. The front panel is entirely covered with tempered glass unknown brand. Theoretically it is protected from mechanical damage when falling from a small height. But, as is often the case, afraid of scratches — the glass is quite soft. Should take care in advance by sticking a special film — or trying to be with the device extremely accurate. I wore it with coins or keys in the same pocket — and still managed to put a rather large scratch at the top. 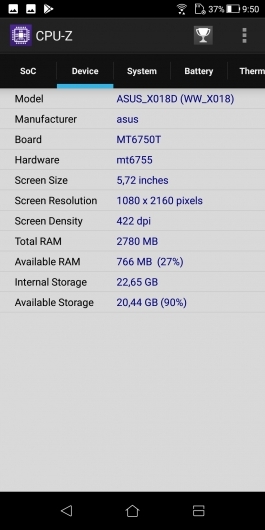 Dimensions of ASUS Zenfone Max Plus – of 152.6 × 73 × 8.8 mm. 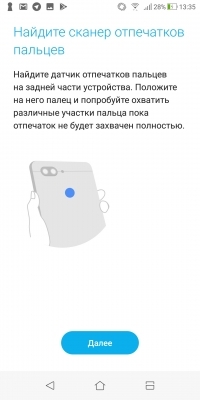 It is not the smallest and thinnest smartphone in the world, but to expect any records from the device, relying on autonomy and has almost a six inch display, and should not have. To use it with one hand is still difficult, but it will feel about the same as those for smartphones features a 5.5-inch screens standard format. It weighs a little unexpected Plus Max – 160 grams. For comparison: the “normal” Max pulled on 181 gram here, however, the impact of a higher capacity battery (as much as 5000 mAh). 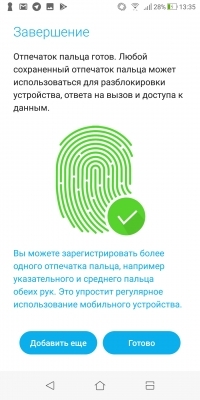 A funny consequence of using edge-to-edge screen, which consumes the entire front panel, the relocation of the fingerprint scanner ago, on the back panel. Soon everyone is following Apple to put it front as a new trend returns everything to normal, the sensor is again in an much more reasonably located place. So the hand is in natural position — less likely to drop the phone, when you steal it to touch the button. In the scanner-based on standard capacitive sensor is triggered it quickly enough, the percentage of false reactions is low. 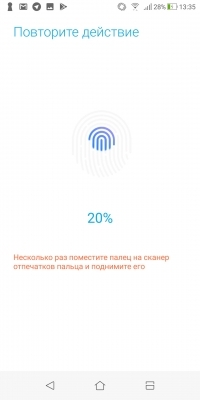 It can be used to unlock the device without entering a password, and to react to incoming calls. 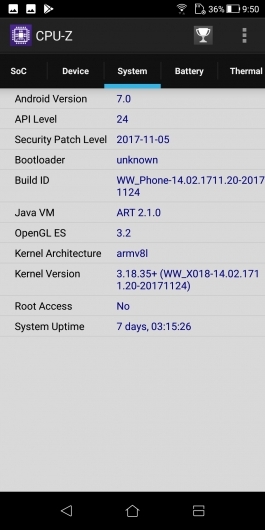 ASUS Zenfone Max Plus operates on the Android platform 7.0 Nougat, but ASUS, as usual, promises a timely upgrade to Oreo. However, already in 2018, and it hasn’t happened yet, but it’s hardly the manufacturer’s lied — ASUS is trying to keep modern smartphones. Shell is already familiar to us – it ZenUI 4.0, which got rid of the most part imposed by its predecessors of applications, becoming visually more pleasant and much easier. But it’s still one of the most original and great design of the “pure” Android environments — keep that in mind. Anyway, serious claims to its work I did not have – except that I recommend to immediately switch from branded keyboard standard for Google, offered in Zenfone is really uncomfortable.